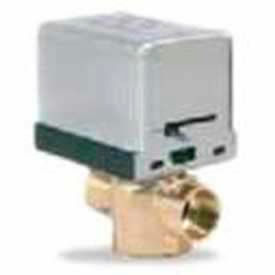 Erie's PopTop motorized hydronic valves provide convenient, reliable and easy installation for a variety of heating and cooling applications. Installation is a snap with easy, one-handed removal or engagement of the actuator to the valve body. Push the button and lift. It's that simple. Made in the USA. Voltage 24 Vac @ 50/60 Hz, 110 Vac @ 50 Hz and 120 Vac @ 60 Hz, 230 Vac @ 50 Hz, 240 Vac @ 60 Hz, 208 Vac @ 50/60 Hz., 277 Vac @50/60 Hz. Power Requirements 6.5 watts, 7.5 Va.